Long Stroke: The stroke becomes 1.6mm longer than the previous stroke. 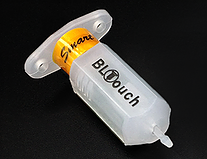 BLTouch is an auto leveling sensor for 3D Printers that can precisely measure the tilt of Bed surface. It could work with any kinds of bed materials, such as glasses, woods, metals, and so on. 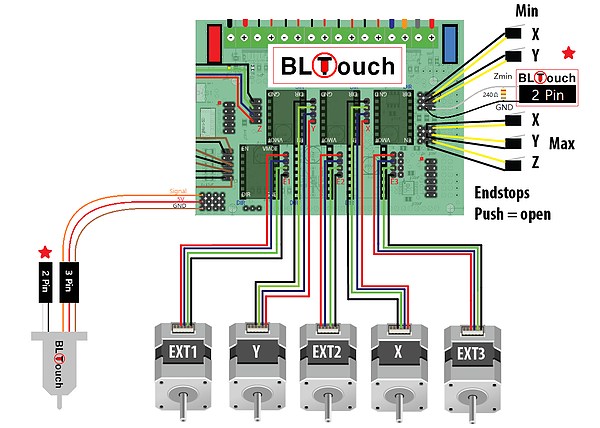 BLTouch is fulfilled with simple structure and high precision by using progressively designed solenoid and hall sensor. It aims for user convenience and enjoyable printing by adding many smart functions, such as self-test, alarm, alarm release & Touch Switch mode, Blue LED for servo signal indicating and Z-probe(Zmin) Testing. BLTouch can be easily applied, since it has a small and simple structure. As BLTouch works as usual auto bed leveling sensor, Gathering information & setting up your firmware will be an easy task. Self-test : The push pin operate two times in a test when the power is on. 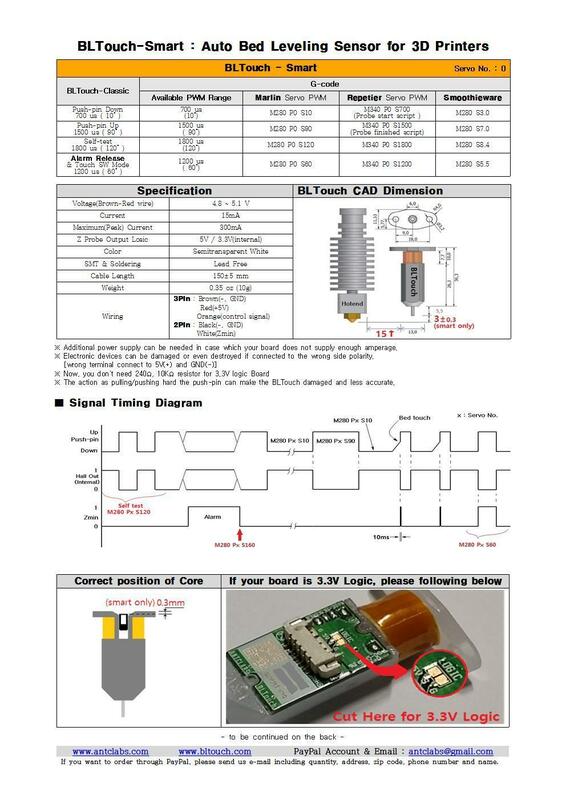 Alarm : The LED light blinks if a problem was found on a self-test or during operation. BLTouch must be installed perpendicular to the ground. 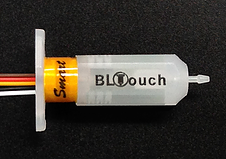 If BLTouch push-pin can't be perpendicular to the ground, BLTouch will out put wrong signal. Weiterführende Links zu "BLTouch-smart V3.0"